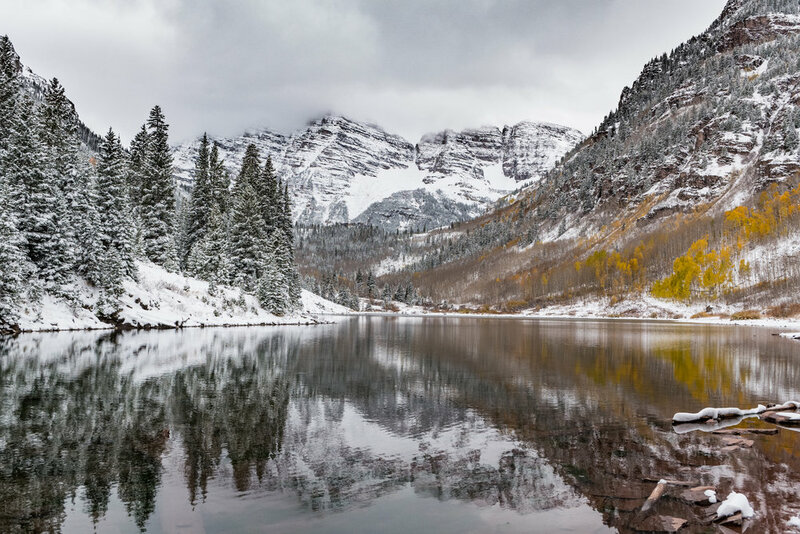 Behold the most-photographed mountain in North America, Maroon Bells. In the fall when the aspen trees burst into a kaleidoscope of color, the lake is ringed with photographers. From predawn to dusk, they come from all over the world to try to capture the pure alpine beauty. A certain photographer, Mr. Ansel Adams, may have been responsible for this trend. Back in the 1950s, he took the seminal shot of the Bells in black and white. This image is my homage to him.